Ok, you and I are going to start this Monday off right, and in doing so set the stage for the rest of the day and the rest of the week. Any of you who read my emails know that Monday and I have a sometimes rocky relationship. We are on again, off again – we break up – we make up. Through it all though we are committed to each other, and committed to making this relationship of ours work. So today I want you to join me and FEEL Monday with me. To hear her, to see her, to feel her, to experience her in all her glory. What the heck are you talking about Christa? I just want you to step outside. That’s all. Nothing drastic. No matter where you are or what the sky is doing, step outside and soak it in. Here, the sun is shining, there is a light breeze, I am closing my eyes and feeling the sun on my face, the breeze across my toes. I am taking a deep breath in to smell the lilacs on the wind, the cut grass, someone cooking breakfast. I am listening, to the cars going by, the tires rolling over the road, how they fade into the distance the further away they drive. I can hear voices from the lot across the street. They are building a garage and their voices carry and reach me in muffled mumbled Charlie Brown waves. I am sinking my toes into the lawn – feeling the squish against my toes, the cold wet grass against the bottom of my feet. I see my two dogs, who have come to lay at my feet – unsure of what I’m up to but good with it. The energy is right. Breathe again – deeply – full deep fill up your lungs inhale, and complete exhale. FEEL this morning (or afternoon or evening where you are). Greet her – this Monday morning – with love, appreciation, acceptance, presence and kindness w3. And let that be how we encounter and address everything else that comes our way this day. With love, appreciation, acceptance, presence and kindness. I’m in if you are. Let’s do it together. 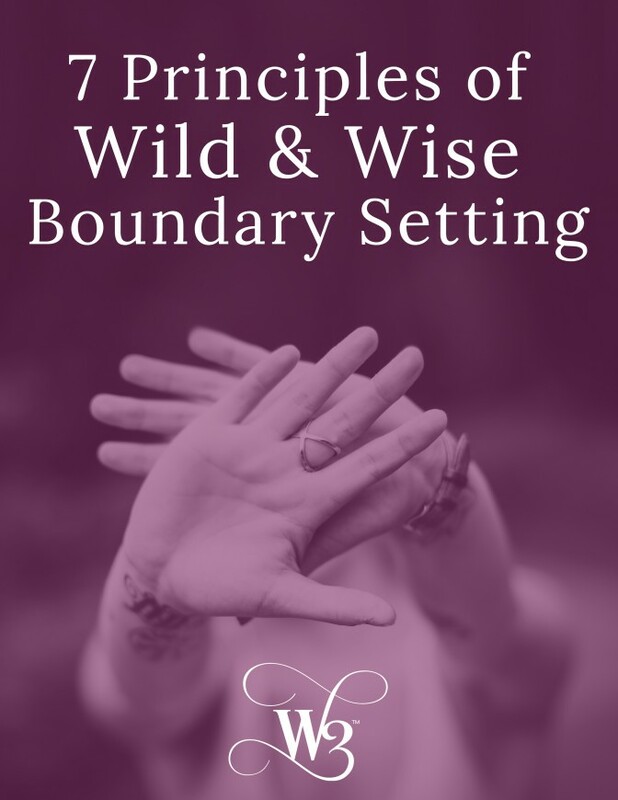 It doesn’t have to be hard … that’s what living wild and wise is about – feeling, appreciating, loving, accepting, LIVING with presence and kindness, BEing in and boldly experiencing this world presented before us. I plan to feel it W3. To see it, and hear it, and taste it, and smell it. To BE as fully Christa as I can be each day I am blessed to be here with you – to ride the wave of adventure and risk the “safety” of expectation for the thrill of new opportunity. Yep, that’s my plan. And I plan to take each and every one of you who is excited by that notion right along with me. Together we are magical and strong. PS. So something awesome and new has come up W3 – we have our very own Wild and Wise Retreat house! So get ready for a retreat this fall in the beautiful Okanagan of British Columbia! PPS. There are still spots available for group coaching if you are interested. I will be working with 4 special W3 who are ready to bring their lives to the table, unwrap the layers of stories and numbing habits and patterns built over the years, who are ready to stop sleeping through their lives and Wake Up to the passion and joy waiting for them. If this is you, write to us at [email protected] with your name, email address, a few lines about yourself. It’s $175 for two full hours of time with me and a few other W3. This will be a powerful experience.